Our Colorado ranches are gently rolling hunting land, which makes this a favorite for hunters of all ages and very popular for seniors. 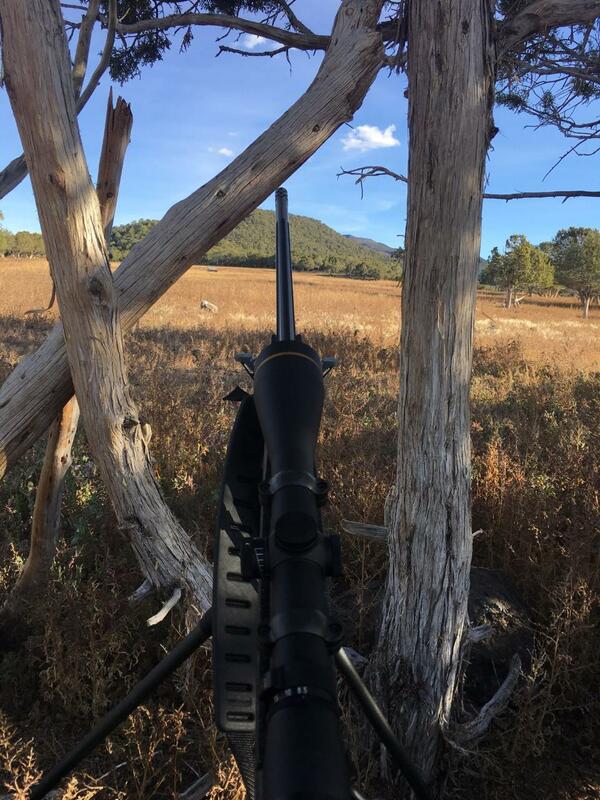 We can make this Colorado hunting accessible to you regardless of physical limitations. The hunt is very easy walking and hiking. The terrain ranges from alfalfa hayfields, to Aspen forests, to Cedar and sagebrush ridges. Our many different Colorado ranches make our hunts unique. With so many ranches to hunt, hunters have the opportunity to see some of the most gorgeous scenery and experience some of the best hunting in Western Colorado. Accommodations will be at the local motel. It is clean and comfortable. Hunters will be responsible for their own room. We will provide breakfast and a hearty supper. We will transport you to and from the hunting land from the motel. We also provide airport pickup in Grand Junction at Walker Field. 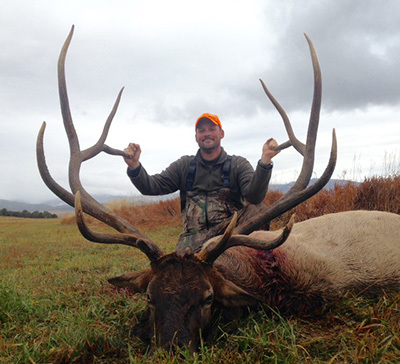 Hunt the magnificent Rocky Mountain elk with us on our private Colorado ranches located in Western Colorado. Our private ranches are located 1 hour East of Grand Junction, Colorado, near the town of Silt. All areas offer outstanding hunting. Our hunt is a 2x1-guided hunt with experienced guides. We use 4x4 vehicles to reach the hunting area, then go out on foot. Most of our bull elk will range from 5x5 to 6x6. We take very respectable bulls for our area. The ranches are strategically located on migration routes and wintering areas. We offer 4 separate 4 1/2 day hunts for our elk and you may combine mule deer with 2 of these hunts. Our success rates are high most years. *If born on or after January 1, 1949 you are required to have a Hunter Safety Card. Elk do not pattern quite as easy as mule deer. However, elk will use the feeding areas much of the time just as the mule deer do. Elk seem to enjoy the alfalfa fields and oak brush thicket. During the late bugling season, herds will show up by the hundreds at times. Your guide will choose the best location and wind directions for your best chance at your bull. Wind direction and scent elimination is very important. Elk are very sensitive to human smell. They do not mind human activity such as tractors, trucks, and other ranch life, but human scent in their safety zones is definitely a deal breaker. Also be sure to stay out of elk bedding areas. After you have fired on an elk, stay still. Because of the terrain, your shot will reverberate around, making it difficult to pinpoint you. The elk will run, but probably downhill. If you make a lot of noise afterwards, it will run in the opposite direction of you. Our experienced guides will take you in a 4x4 vehicle to our land. From there though, you will have to travel by foot. Proper footwear and boots suited for travel is imperative. © 2017-2019 Lee Sells Outfitters & Guide, LLC. All rights reserved.